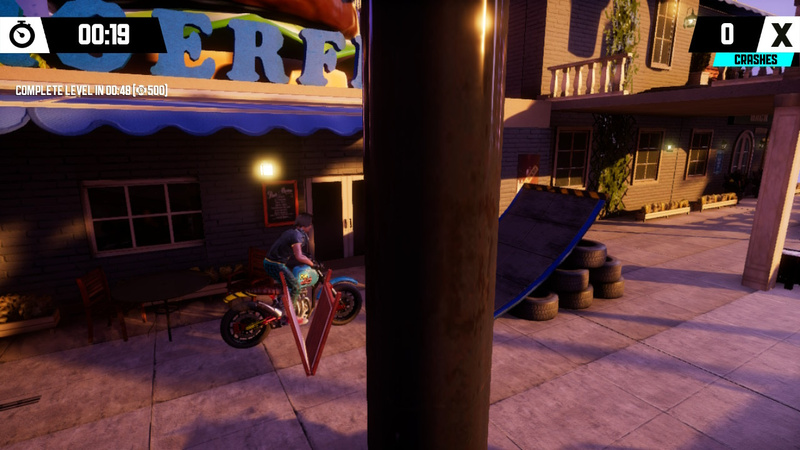 Urban Trial Playground may not reinvent the stunt bike wheel, but it does provide an extremely fluid and inviting arcade experience for Switch owners. Tactile controls and pacy, highly replayable levels make this an accomplished cut-price racer package. This looks good. Is this done by the people that did ‘trials’ or did they put trial in the title to kind of make people think it was? Didn't even know this was coming! Really enjoy the Trials games on Xbox and have heard good things about the past Urban Trial games. It's a style that's perfect for portable play. Now bring over TrackMania Turbo (or a new game in that series). Love the series and its inspiration. Day 1. @Mr_Pepperami The word "Trials" in relation to motorcycle stunt riding was not invented by RedLynx, the developer of the Trials series. Trials riding was a popular real life sport for many decades before RedLynx made their first Trials game. 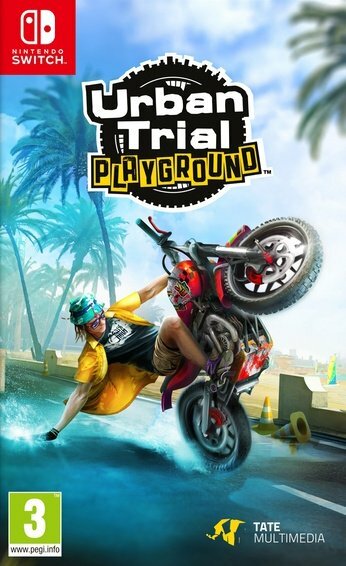 I'm not saying this game isn't inspired by the RedLynx Trials games, but even if it wasn't, it would make sense for it to use the word "Trials" in its title since that's the real-life sport it's modeled after. Not a fan of the scenery and art design. When I see palms and beaches, I have already fled. A port of Evolution or Fusion would have been my favorite. Playground misses the crazy loops, ramps and air jumps completely, just building up on overcoming the local scenery with ramps. Feels boring compared to older titles. @Mr_Pepperami Ah ok, sorry for assuming you didn't know. I think it's somewhat unavoidable that other games about motorcycle trials riding will benefit from RedLynx's Trials games having popularized the genre. I don't see any evidence that the devs of this game are intentionally trying to mislead gamers into thinking this is related to RedLynx's games though. 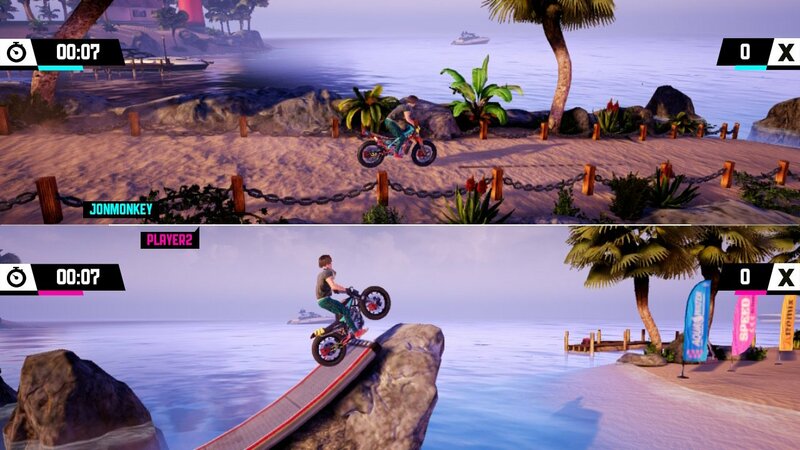 The real-life sport that's the inspiration for these games is called "trials riding", so it makes sense that games modeled after it would use the word "trials" in their name. I would say that if a developer is the first to make a game modeled after a real-life sport, and they want to have ownership of the name, it would be up to them to invent a made up name for the game instead of using the real name. For example if the developer of the first tennis computer game called their game "Tennis", it wouldn't seem reasonable to me to assume other developers who use the word "tennis" in their game titles are trying to be misleading. It just makes sense to use "tennis" in the title of a game that's inspired by tennis. Now if the original dev used their own made up word, like I don't know, "Pong", as the title of their game, then if other developers used a similar name for a similar game, it would seem like they might be trying to be misleading. @Mr_Pepperami I get you. In fact I agree that this game was almost certainly inspired by RedLynx's games and the devs are probably consciously hoping to benefit from RedLynx having popularized this type of game. I just don't see the fact that they used "trial" in the game title to be problematic or intentionally misleading. Awesome. 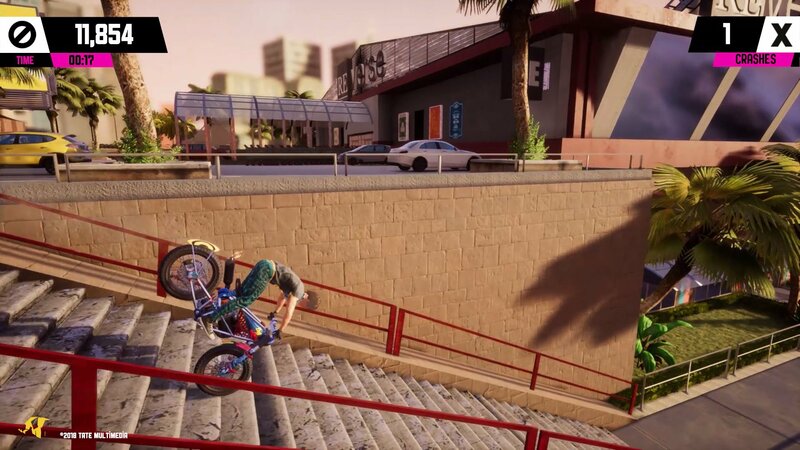 I'll be buying this, really enjoyed Urban Trial Freestyle on the Vita. I've always been surprised on these releases; They've always handled well and were always fairly inexpensive for what you got. I do wonder the price on this one though. It is really quite a nice game with loads of fun to be had. I have played it for review purpose the last few days and having a blast. It runs in native 720p and upscaled to 1080p in docked mode. Framerate is unlocked and scales over a range of 30-50fps. All according to the devs. Certainly is a perfect fit for handhelds and the loading times are short with instant retrys. Sounds like a so-so game, why the 8? I played the first on 3ds, it had its moments, but is mostly forgettable. I'd love to get Trials on the Switch. Maybe some Ubisoft love might come this way? No? The PS3 iteration was pretty good... now it's just a matter of price? But no mention in the review of game length, does it get repetitive, etc. And why in the world would the frame rate noticeably suffer in handheld mode for a game this simple... that's unacceptable. Apparently it's only 30 FPS at its max, which is sad enough, but it dips below this in handheld? Nice. I love the Urban Trial games on 3DS and I forgot about the Switch getting one. I will definitely be checking this out. Looks okay, I had an earlier version of this game on my PS Vita and it was nothing special. Totally the kind of game I would wait to get on sale if I ever buy it. I can't vouch for docked mode, but in handheld mode, loading times are excessively long. Jumping back to a checkpoint occurs instantly during a stage, but loading from one level to the next, or even just the main menu is quite long (over 10 seconds) and considering the brevity of the average stage (under a minute), it really drags down the experience. Unfortunately, restarting a stage in order to reset any penalties will also subject you to the full loading length. Lack of customisation options is also really disappointing. Some more options, or even the option to remove certain articles of clothing (shoes/tops perhaps) would have been welcome as I didn't like any of the (extremely limited range of) shoes or tops on offer. It's a very simple arcade-like experience, and while I ordinarily would never even consider splurging on something like this, I was drawn to the lovely environments (it's a shame that an open-world mode of some kind wasn't included, as I would love to explore the in-game world). It's nothing particularly special, but it is a solid arcade experience for those who know what they are getting. Just don't expect a great deal of content and replay value. All in all, a short and sweet arcade-style game that is surprisingly appealing.